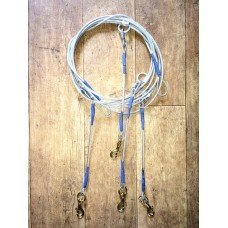 Single dog stake out drop 800mm length made from 4-6mm galvanised wire rope with solid brass trigger.. 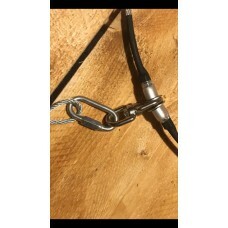 These modular lines can be linked together, to provide you with any combination of attachment points.. 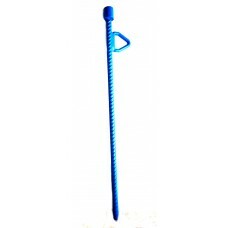 Heavy duty, dog stake-out pin800mm long x 20mm.1 stake out pin - line not includedDiscount on multip..